This soft candy has a banana flavor. You can put some chocolate cream on it. It is very popular among kids. 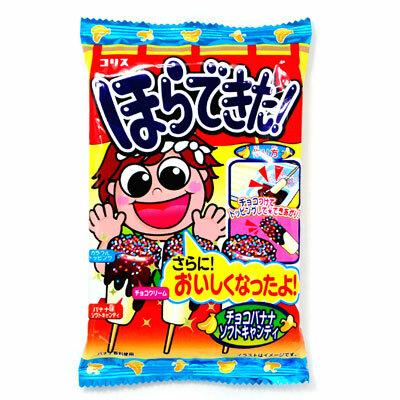 Please enjoy this banana soft candy with some chocolate cream and colorful sprinkles.